I got this Artdeco Eyepalette a while ago... And although it came pricey, I think around £39 for the empty palette and the four eye-shadows together, but I realised the quality is absolutely worth it. 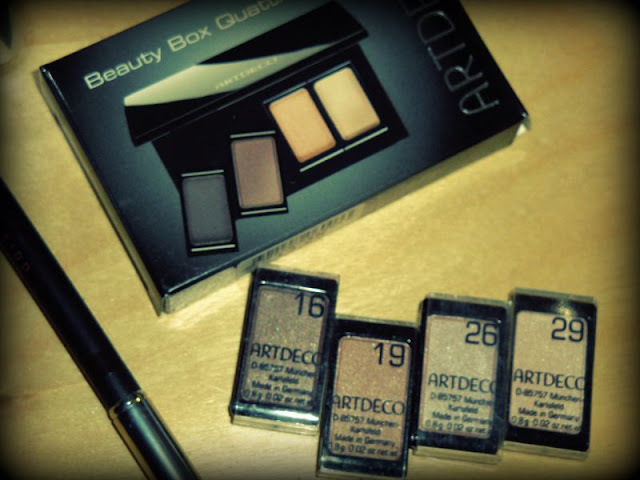 Artdeco is a German cosmetics brand. First time I came across their products was in the 90s when I lived there... Back then I went to school and it was a bit expensive to afford, it comes close to Chanel or Dior eyepalettes price-wise... But quality-wise I must admit it's much better than quite a few Chanel or Dior eyeshadows I came across.. It's a brand that just feel luxurious, the eyeshadows come in beautiful colours, mostly they have satin finish, blends like a dream and goes on very smooth, stays long, great colour payoff - what else could you possibly ask for?! When I got the palette I was hooked on it for weeks, which is extraordinary considering the fact that any great make-up lover will continue collect other eyeshadow palettes and quads and duos [you name it], so you are constantly tempted to switch to different eyeshadows all the time... The other amazing thing about Artdeco that not many other good brands do, is that you have a choice! You can choose what goes in your palette, not only colour-wise, but also as you can see on one of the images, you can also select a blush for instance... 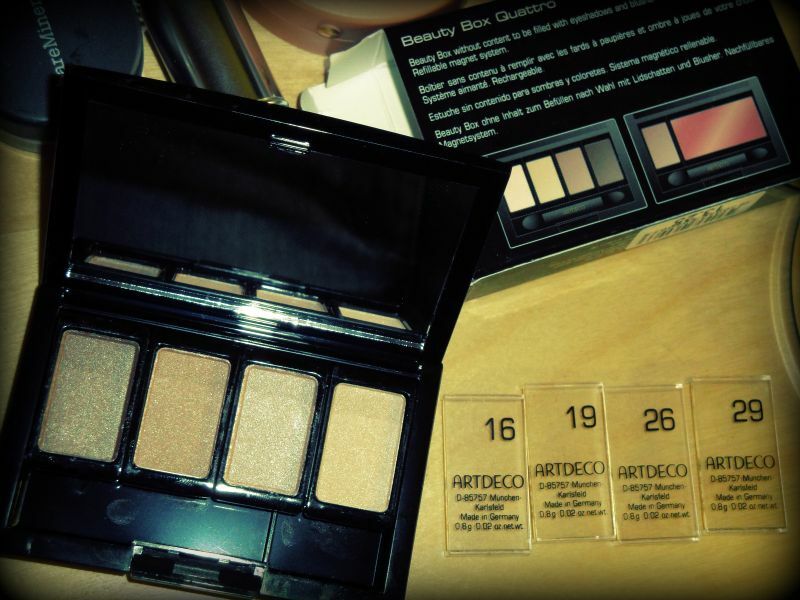 They leave you with a wide choice... Ardteco appeared in my shopping mall not too long ago, so check out if you can get to an Artdeco counter close to you, I highly recommend their eyeshadows! I'd say the quality of those are very similar to the new bareMinerals eyepalettes, which the girls in US are already enjoying, and we in UK have to wait till next year, ugh!